Today is International Suicide Survivor Day. It’s a day when those affected by suicide loss can join together and share stories of healing and hope. It's also the perfect day for me to share my experiences and what I’ve learned from them. The day before my brother Matt died was the first time that he and I ever talked about suicide. It was also the last one-on-one conversation I had with him on this earth. That was 1 year ago this week. It was Sunday evening before the rest of my family arrived for dinner and the two of us were talking in my parent’s quiet living room. Unlike most other conversations we had in the past, Matt opened up and starting talking about deeper, more meaningful insights on life. He said that he wished he could help young vets and others struggling with thoughts of suicide. The realization I had when he said that hit me like a ton of bricks. I asked him, “Is that because you’ve been there too?” He looked me straight in the eyes in a way I’ll never forget. He didn’t look down or away. His eyes were confidently locked on mine as he quietly answered, “Yeah.” I broke down and cried as all the images of him from the past year flooded my mind. How could I have missed that!? After I regained my composure I said, “I’m so sorry. Do you feel that way now?” Matt assured me that he was in better place in his life. He even said that he had a personal goal to reach out to others particularly other veterans. I told him that I cared about him and that I was relieved he was doing better. I had always known that he struggled with mental illness, but I never realized how dark things had been for him. That moment with Matt became a memory that will be forever seared in my mind. The next day Matt suffered a severe psychotic break and in the midst of it he took his own life. Solutions can be complicated and since it is such a ‘hot topic’ right now, there are a lot of sources working to reduce the suicide rate including; awareness organizations, education programs, teen hope squads, church programs, etc. I don’t pretend to be an expert on prevention nor do I want to oversimplify a complex issue. However, I’d like to share what I have taken away from it all. You don’t have to be a specialized psychotherapist or knowledgeable physician to be part of the solution. Don’t let feelings of inadequacies stop you from taking action. Ask yourself: Do you care about the person? Do you want them to be safe, happy, and to know you care? Then YOU can be the right person. Just be willing to have a potentially difficult conversation. Be brave, put your fears aside, and just ask “Are you thinking about killing yourself?” You may never know how something relatively simple for you can be crucial for them. Not long ago I learned about a man in Japan named Yuko Shige who has made it his mission to rescue people on the brink of suicide. I want to share his story because he is an amazing example of what it means to LiveRad. 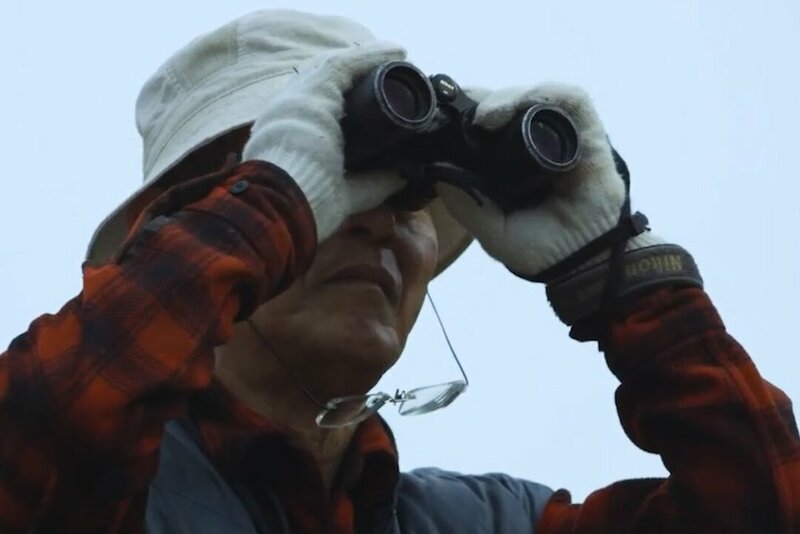 See how Mr. Shige is working on the cliffs of Tojimbo to help others, and has inspired us in the process. I can’t help but reflect on where I was one year ago - talking to and sitting next to Matt. I wouldn’t have imagined that I would be writing this blog post, but because I am I hope that it somehow makes a difference to you. While I wish that I didn’t own a part of “International Suicide Survivor Day” I’ll take this opportunity to encourage others to take action to help others in need - LiveRad!